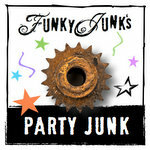 This is what the set looked like when I found it near a dumpster awhile back (yes, a dumpster!). 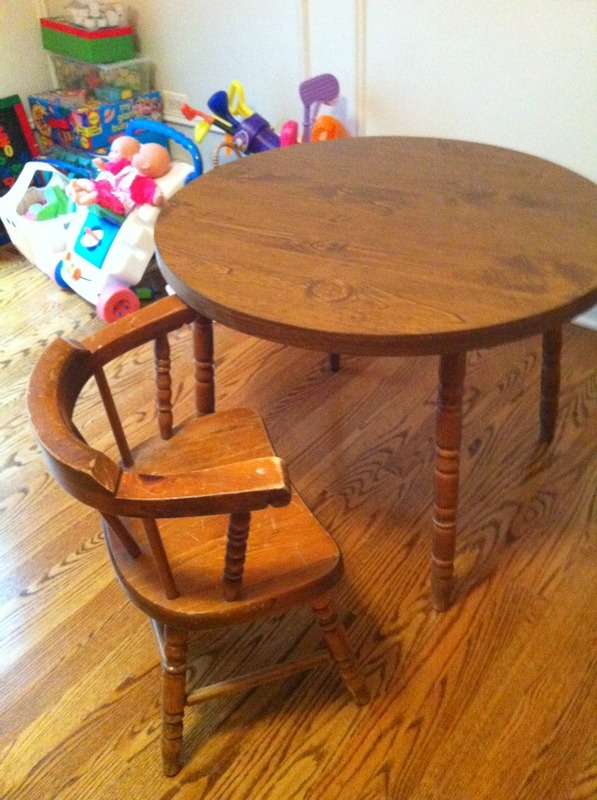 It wasn’t in the best shape, but the table was still very sturdy and I was drawn to its little spindle legs. 1. 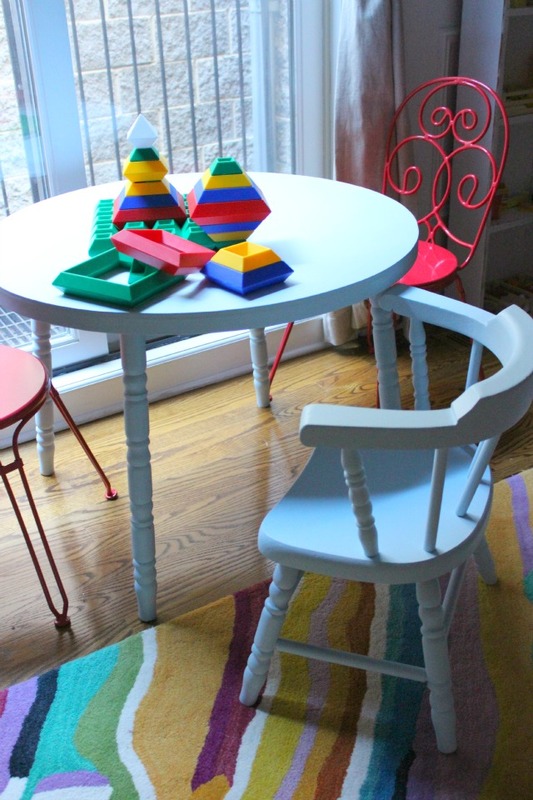 Lightly sand all the surfaces of the table and chairs with your sand paper. It’s a good idea to use your respirator mask during this part! Wipe off the dust created with a paper towel. 3. 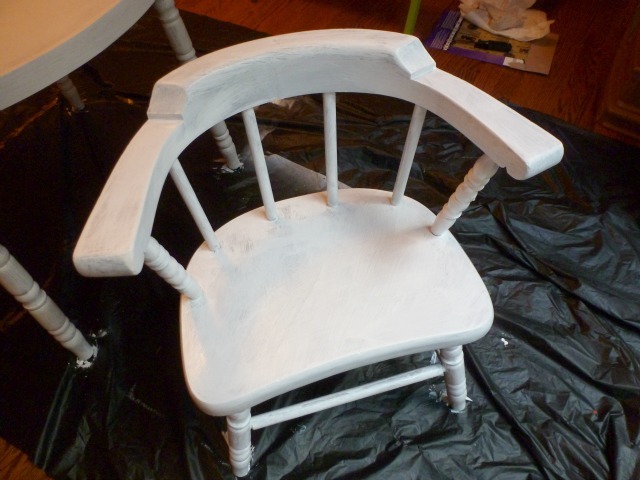 Apply 1-2 coats of your paint. 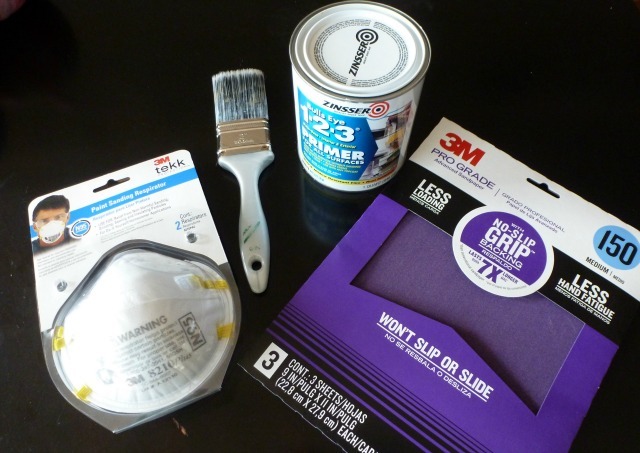 I tested out two wall paint colors I had on hand. 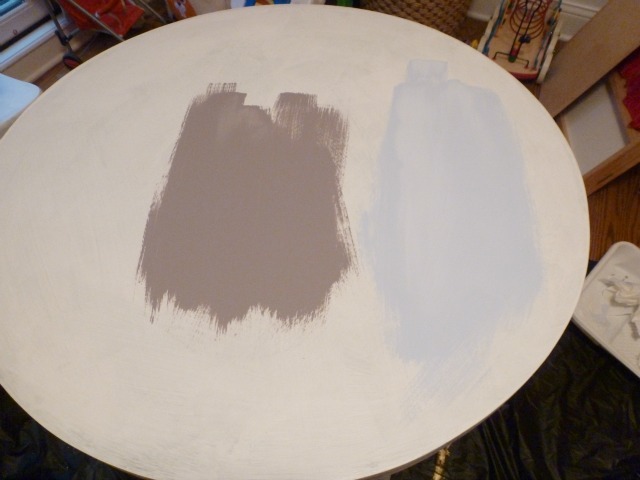 I opted for the pale blue and gave the table two good coats. 4. 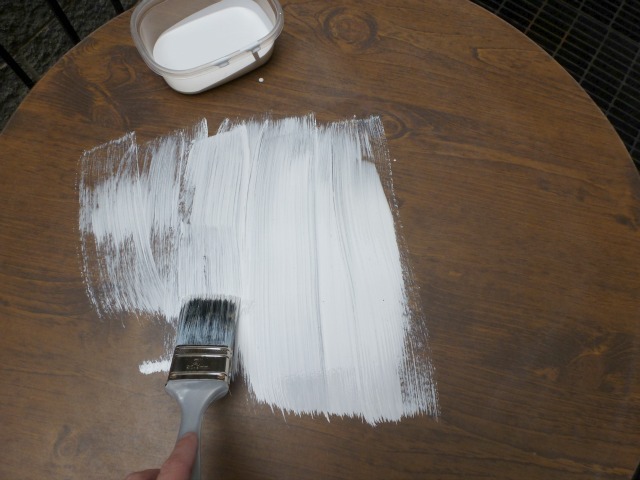 Spray the table and chair with a protective acrylic spray. I gave the table at least 4 coats, letting it dry between coats. I didn’t take a photo of this, but this step is really important to protect the surface of the table from wear and tear. When my girls get crayon marks or spill something on the table it will just wipe off with a damp cloth thanks to the sealant. 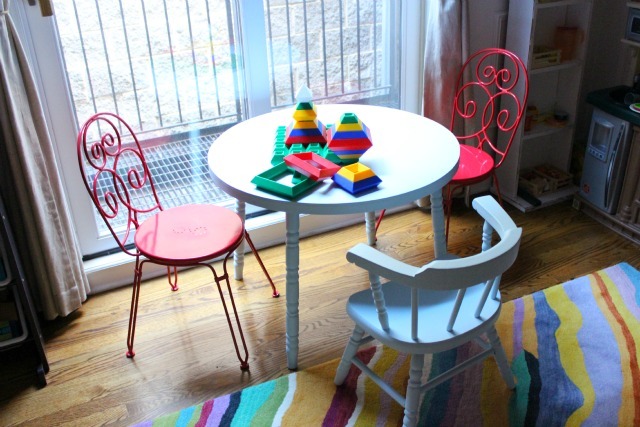 I paired the table and chair with these adorable red chairs from The Land of Nod. So far the table has been holding up pretty well thanks to the sealant, despite my girls’ best efforts to mark it up! 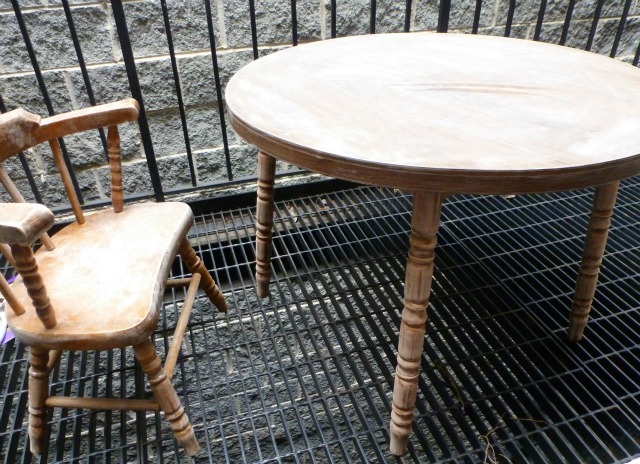 Fellow DIYers out there, what tips do you have when it comes to refinishing furniture pieces like these?